Halloween Special on Jack3d and OxyELITE Pro – TODAY Only! Check out the Halloween Special Here! Happy Halloween #Jack3dNation! Let’s cut to the chase: As a a special today only, you can get 10% off EVERYTHING on your favorite supplements. That’s nice as it is, but when combined with the exclusive deals negotiated for Jack3d and OxyELITE Pro, you can find lowest prices in over a year – and the lowest price EVER on OEP! You must spend at least $40. Fish oil is something everyone should take, regardless of goals or age. Shipping is from Ohio, which is relatively unaffected by the recent weather. Times to the east coast will vary. Kameron Ross Deadlifts 661lbs… and Approves of this Deal! 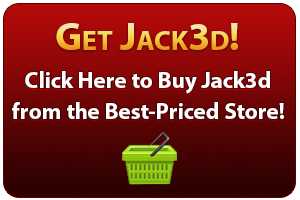 In case you didn’t know, Jack3d is still 100% legal in the US. There is no news in banning it, which is good news! As we know, Jack3d is safe when used properly (http://www.jack3d.org/is-jack3d-safe). Stay tuned to @Jack3dFans on twitter or Facebook.com/Jack3dFans for future updates and info. To celebrate Jack3d being alive and well, we’ve launched the Jack3d Success Series, where we feature different users of Jack3d. If you, your personal trainer, or even your gym would like some press and links, contact us and we’ll get one written up about you! For those of you overseas, Jack3d Micro is the way to go. 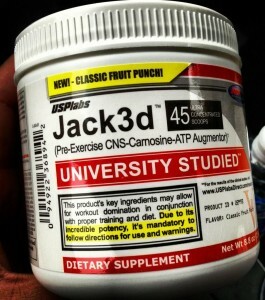 You can go to www.jack3dmicro.org for information on all of the new ingredients, and follow us at @Jack3dMicro as well. Which one to choose in the US? Basically, Jack3d original definitely brings more energy, but if you’re more interested in lifting heavy and getting great pumps, then take a look at Jack3d Micro’s three-phase pump system. Read about it at our Jack3d vs. Jack3d Micro article. It’s Winter Time in the States… Ready for Bulking Season? If you’re interested in getting big this winter, one final thing to look at is USPLabs’ latest testosterone boosting powder, TEST Powder. Turning men into monsters this winter, you can look at the ultimate muscle-building stack, the Asteroid Stack 2.0 (SPOOKY coupon will work here as well). Have a great winter bulk, and stay tuned to more updates, success stories, and deals on this site!